In the second half of February, the Crown Prince of the Kingdom of Saudi Arabia, Mohammed bin Salman Al Saud, visited a number of Asian nations. His tour became a perceptible political event in the region of the Indian and Pacific Oceans. Out of the countries, initially included in the trip (Pakistan, China, India, Indonesia and Malaysia), the last two were eliminated during the tour. Unexpectedly, the trip assumed greater significance because of two (extremely bloody) terrorist attacks, which had occurred one or two days before the start of the tour. Both Iran and India, the victims of these acts of terror, without any hesitation, pointed “the finger of blame” at the culprit of the tragedies, Pakistan, which happened to be the first country Prince Mohammed bin Salman was meant to visit. As a result, rumors began circulating that the scheduled tour might be cancelled altogether. We would like to remind our readers that on 14 February, near the town of Pulwama in the district with the same name of the Jammu and Kashmir state, a vehicle-borne suicide bomber drove an off-road vehicle with 300 kg of explosives into a convoy of Indian military personnel, moving along the main state motorway. The terrorist attack resulted in more than 40 casualties, and nearly the same number sustained injuries. The organization Jaish-e-Mohammed claimed responsibility for the attack, it is designated as a terrorist group in Pakistan itself. However, this did not stop the nation from, yet again, being accused of supporting terrorism by India (and the United States too). Considering the gravity of what had happened in Pulwama (and to the credit of Pakistani and Indian leadership), it is worth noting that this situation has, so far, not been allowed to quickly devolve into a large-scale armed conflict between de facto nuclear powers. Nonetheless, India’s rhetoric and retaliatory measures (either already taken or in their planning stages) show that any hopes of a perceptible improvement in the relationship between India and Pakistan are not to be entertained at present. 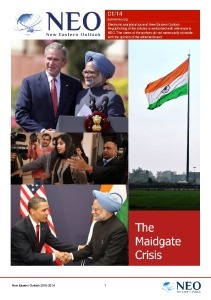 Or at least, not until after India’s upcoming general election, scheduled for April-May. Aside from threats to use air strikes to hit “terror infrastructure in Pakistan-occupied-Kashmir” with precision, the most dangerous countermeasure may prove to be the implementation of the government decision by Nitin Gadkari’s, India’s Water resources minister, “to stop the flow of its share of water to Pakistan” from tributaries of the life-sustaining Indus River. Such threats were last made by Prime Minister Narendra Modi (one and a half years ago). At the time, Pakistani leadership retaliated by declaring their willingness to resort to the use of nuclear weapons. Based on the scale of potential political consequences and media reporting, the suicide attack in Pulwama overshadowed, to a certain extent, the act of terror that occurred almost at the same time in the Iranian Sistan and Baluchestan Province, which borders the Pakistani Province of Balochistan. When the extremely complex nature of the relations between Iran and Saudi Arabia are taken into account, we can confidently state that the second terrorist attack could not have been the reason for (hypothetically) cancelling the foreign tour, undertaken by Saudi Arabia’s Crown Prince. 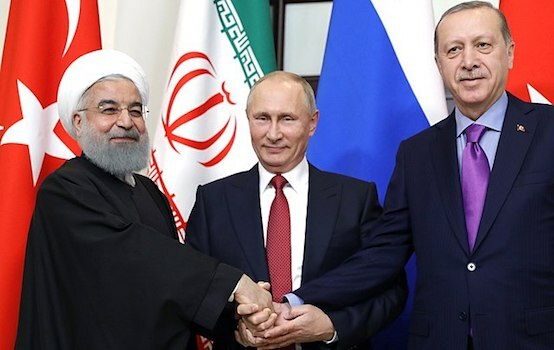 Still, the Kingdom’s leadership obviously opposes, as is the norm for all the members of the “international community”, “the main threat of the 21st century”. This custom was upheld in the Joint Statement, issued by Pakistan and Saudi Arabia, by including an expression of concern, felt by both parties, towards the serious threat posed by “the evil hand of” terrorism (which excluded any specifics). The statement’s key message was meant to reaffirm “the historical relations between the Kingdom of Saudi Arabia and Pakistan”, and to applaud “the growing momentum in their bilateral relations in all areas of cooperation”. The last passage was supposed to reflect the key role Pakistan plays for the very existence of the current Saudi leadership, and in the Yemeni conflict, involving the confrontation between Riyadh and Tehran. One of the main passages of the Joint Statement included Saudi Arabia’s intention to invest approximately $20 billion in various economic development projects in Pakistan. Another, no less noteworthy part of this document says that Prince Mohammed bin Salman praised the China-Pakistan Economic Corridor initiative, which Pakistanis have opposing opinions about. It is intriguing that Crown Prince Mohammed bin Salman did not head directly to New Delhi from Islamabad, but instead returned to Riyadh. The nearly 24-hour break from the tour seemed essential for digesting all the received information (including data stemming from the terrorist attack in Kashmir), and also for assessing risks before visiting Pakistan’s key rival. In the Joint Statement, signed at the end of negotiations between Prime Minister Narendra Modi and Crown Prince Mohammed, the latter “condemned in the strongest terms, the recent terrorist attack” in Pulwama, but did not name specific culprits or made any mention whatsoever of nations that possibly sponsored this act. The statement that “His Royal Highness appreciated consistent efforts made by Prime Minister Modi to have friendly relations with Pakistan” is also worthy of note. It seems that this passage should be interpreted as a hope, entertained by the guest from the Kingdom of Saudi Arabia, that the host would make such efforts after the meeting. The document describes the current state of the bilateral relations and prospects of developing their various aspects as positively as possible. On behalf of the leadership of his nation, Prince Mohammed bin Salman expressed his intention to invest approximately $100 billion in India’s economy. Whether by design or not, but when this amount is divided by the size of India’s population the result turns out to be more or less equivalent to the sum promised to Pakistan. Prince Mohammed bin Salman then travelled to Beijing directly from New Delhi. Commentators, reporting about this visit, highlighted the negative atmosphere, created by Western nations on account of the murder in Istanbul of the journalist Khashoggi, who was viewed as the principal critic of the successor to the Saudi throne. In China, on the other hand, this event was treated as another piece of information to be reported on among other news. What is more, the newspaper Global Times published an article with the noteworthy title: “By strengthening relations with China, Saudi Arabia can avoid isolation“. In Beijing, the distinguished guest was greeted by PRC’s leader Xi Jinping, who expressed China’s intention to develop multi-faceted relations with Saudi Arabia as well as other nations of the Persian Gulf. 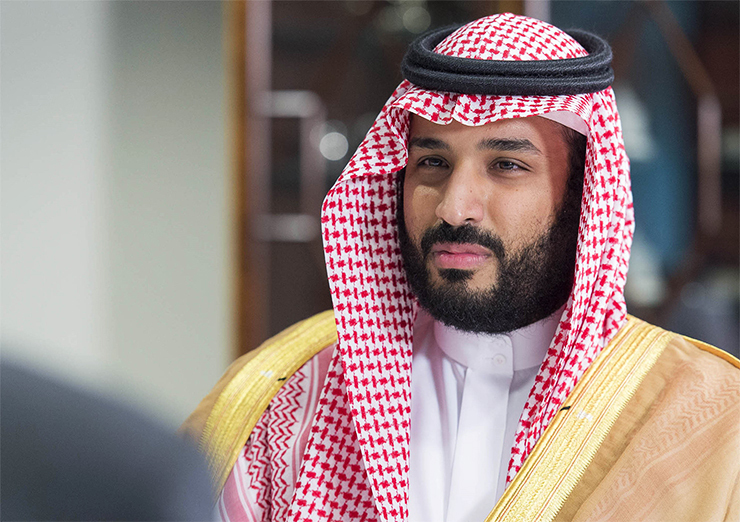 In turn, Prince Mohammed bin Salman voiced his support for the political and economic initiative, the New Silk Road, and his intention to participate in its implementation. The overall evaluation of the significance of the latest foreign tour, undertaken by the Saudi successor to the throne, depends on several key factors. First of all, during these visits Prince Mohammed bin Salman acted as a designated representative of one of several “moneybags”, sitting around the table of a poker game involving international politics. Secondly, Saudi Arabia is one of the main suppliers of hydrocarbons to all the leading countries of Asia. Thirdly, the Kingdom of Saudi Arabia occupies an extremely important strategic position. For China too, as PRC, within the framework of its New Silk Road initiative, is already implementing several projects in Saudi Arabian territory, which serve as a rational extension to the China-Pakistan Economic Corridor. In addition, during the recent tour, Prince Mohammed was, seemingly, compelled to take on the role of a crisis manager on account of the critical situation that suddenly arose in the relationship between two nuclear powers, and that could have quickly transformed into an armed conflict. Still, some facilitation with difficult Indo-Pakistani relations was surely anticipated during the planning stage of the tour, i.e. before the terrorist attack in Pulwama. Overall, this trip should be viewed as a continuation of the political course to develop ties with leading Asian nations, which was initiated by Prince Mohammed’s father. An important phase on the path of charting this course was the tour to a number of nations in Asia, which King Salman bin Abdulaziz undertook in March 2017. At the time, his key destinations were Japan and China. Prince Mohammed bin Salman’s trip to Tokyo in September 2018, and his recent visit to Beijing were meant to underscore the Kingdom of Saudi Arabia’s equally reverent regard for both leading (and competing with each other) nations of East Asia. Overall, the foreign tour, undertaken by the heir to the throne of the Kingdom of Saudi Arabia, became an important element of the political puzzle that is taking shape in the region of the Indian and Pacific Oceans.